Download our free special report to see current salaries for dozens of tech titles, plus details about IT pros' top concerns, the state of the job market and the hottest skills today. Our 30th annual special report shares salary data and other info from the 3,300 tech professionals who took part in our survey, revealing their biggest concerns, career prospects and more. Find out about trends in pay, the state of the job market and the most in-demand skills. 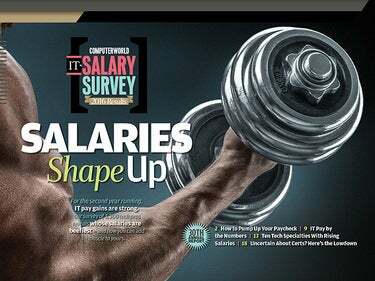 How to Pump Up Your Paycheck: Our 2016 survey results show that IT salaries are shaping up -- is yours? Get advice from tech pros who are making all the right moves. 10 Tech Specialties with Rising Salaries: As demand for skilled IT pros continues to grow, employers are paying top dollar to attract and retain talent -- particularly in these 10 fields. Uncertain About Certs? Here's the Lowdown: Earning an IT certification won't automatically land you a job or a pay raise, but it can be valuable in the right circumstances.